For women who love to put on makeup and are on a hunt to get your hands on the best tools, SAVI introduces the Get The Look Travel Brush Set. 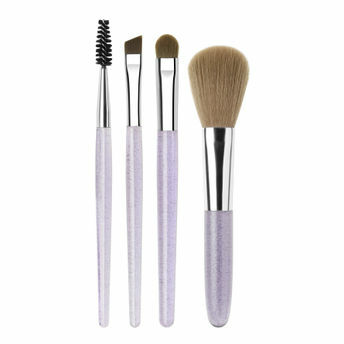 With various brushes, this kit is a sure must-have, especially when on-the-go. Kit contains: Foundation brush, Concealer brush, Eye defining brush, Powder brush and Tapered Blending brush. Additional Information: A great selection of professional makeup tools and accessories at great prices.All makeup professionals and beauty enthusiasts know the true value of investing in a good set of makeup brushes. SAVI brings to you international range of high-quality Makeup Brushes, Grooming tool and accessories that help you achieve that flawless makeup look and enhance your natural looks without any extra efforts! Explore the entire range of Brush Sets available on Nykaa. Shop more SAVI products here.You can browse through the complete world of SAVI Brush Sets .